The French are so fancy. They have a great word for everything. Instead of saying “Hey, let’s go on a really long bike ride for no good reason”, they say “Let’s go randonneuring.” I’ve been wanting to try out this sport for a while and last Friday offered the perfect chance, a night start 100k, or a populaire. 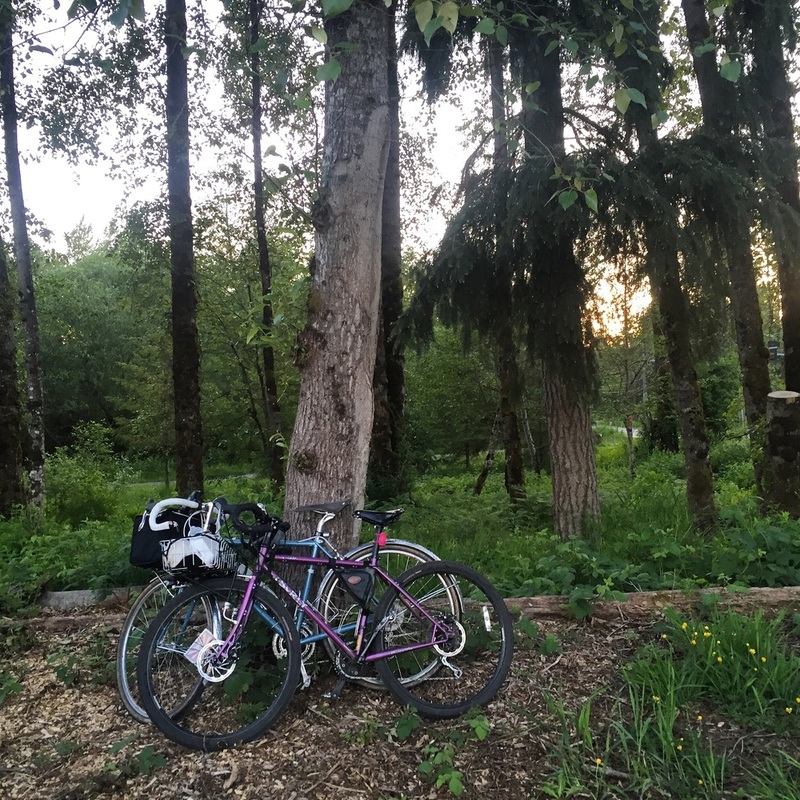 The Night Start 100k hosted by the Seattle International Randonneurs ride started in Snohomish at 7pm and took place mainly on the Centennial Trail, offering a great opportunity for rando newbies to test out our legs in a non-intimidating, welcoming environment. I’m obviously alive to tell my tale and over the course of 100 kilometers had a lot of time to think. Here are some of the things that went through my head during my first randonneuring ride. 2. Sleeping more than 4 hours the night before would’ve been a really good idea. I had grand plans of going to bed early, hydrating well, and starting the ride fresh, but that all got thrown out the window with Thursday’s Point83 ride. You’re only 29 once, right? 3. I wonder what my tire pressure is at right now? Should it be higher? 4. Gnats don’t taste like anything when they fly in your mouth at a high rate of speed. The people on Naked and Afraid™ should design a gnat trap and eat lots of those for protein. (I think this is when the sleep deprivation started to set in. 5. Do you really need three bollards on each end of a rail trail? Seems like two is perfectly sufficient to keep motorized vehicles off, while not impeding cyclists. 6. Math is really hard at 12:30 in the morning, you’ve been riding bikes for 5.5 hours and subsequently figuring out that you have 13 miles left to ride and not 7 is really defeating to your morale. 7. Strava is unnecessary and counts way too slow. Turn it off and enjoy the ride. The checkpoint will be there regardless. 8. My knee hurts when I’m clipped in. It’s probably time for a bike fit to have that looked at. 9. Running over a slug makes an awful squishing noise. 10. Maintaining a 9mph average speed over 62 miles is actually pretty easy, it’s just a matter of not stopping as much as I usually do. I think I might be able to get into this rando thing.